We are a Radio Station in Hillingdon Hospital which if you didn't know is close to Heathrow Airport, London, England. 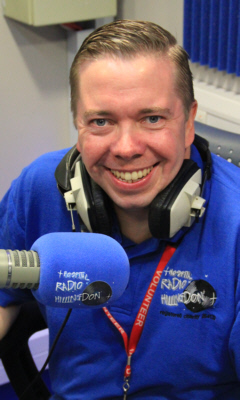 As a registered charity and a voluntary organisation, fund-raising becomes an integral part of the life of Radio Hillingdon. You pay no more than if you had gone to the websites direct and we earn commission on everything you buy! The Number Ones Show ! 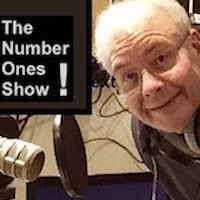 Terry plays 30 minutes of the most popular number one records. We are a registered Charity no. 264132 run entirely by volunteers. We serve the patients of Hillingdon Hospital, which in case you were wondering is close to Heathrow Airport, London, England. We are a Radio Station in a Hospital. 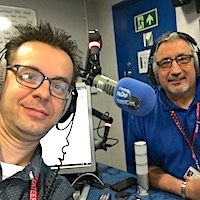 Our aim is to brighten up the stay of the patients, by broadcasting music requests and dedications, national and local news and the best selection of music, 24 hours a day. We play something for everyone of all ages. Our service is broadcast FREE of charge on the Hospedia Bedside Entertainment System on Radio channel 45, and online at radiohillingdon.com so relatives of the patients can listen as well, from the comfort of their favourite Living room armchair. Radio Hillingdon is not funded by the NHS and all of our day to day running costs are met with funds raised by our volunteers. If you would like to help us please make sure you visit our Fund-raising page or use our web shop further down this page. Thank you for visiting us and we hope you enjoy exploring our website. 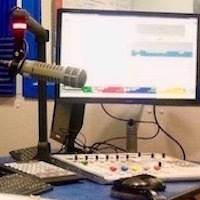 As a registered charity and a voluntary organisation, fund-raising becomes an integral part of the life of Radio Hillingdon. A common misconception is that Radio Hillingdon is funded by the N.H.S. , this is not the case. 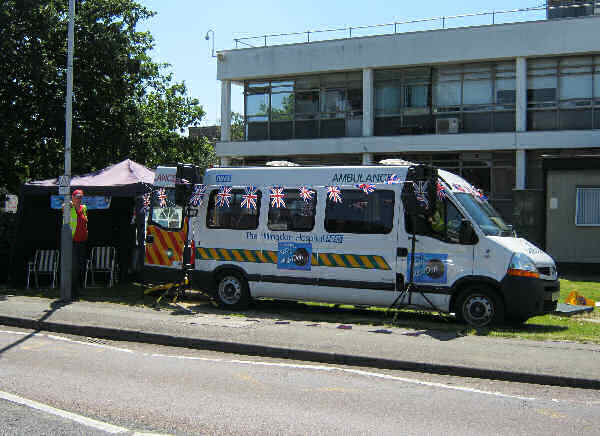 We are funded almost entirely by the support and fund-raising efforts of our volunteers, without which we simply could not continue to provide the excellent service we offer to the patients of Hillingdon Hospital. 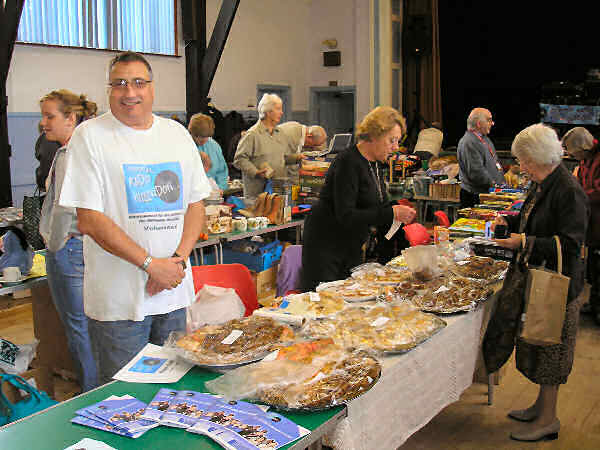 Our volunteers are always looking for new, interesting and innovative ways in which to raise much needed funds. 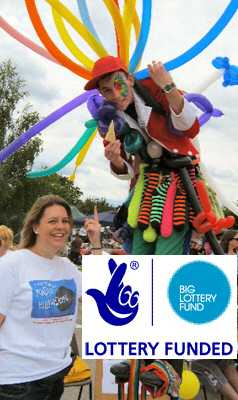 Our volunteers give up their time to plan, arrange and run various events throughout the year. 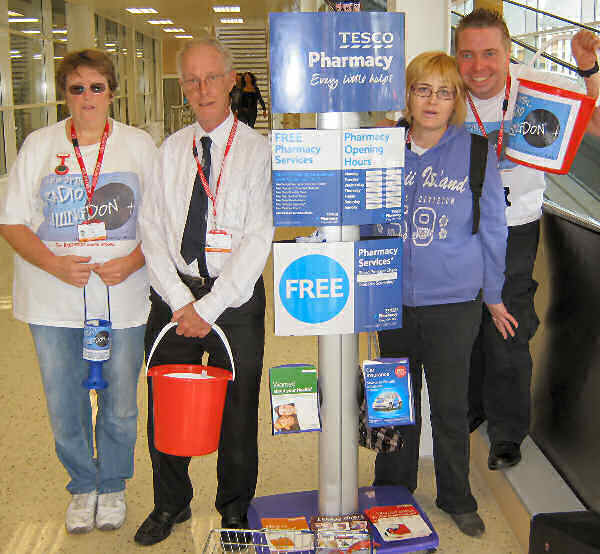 These are some of the ways in which we raise our funds; we attend car-boot sales and bazaars, we organise Quiz Nights and Race Nights and we have been fortunate to be allowed to have collections in local supermarkets and shopping centres. We hold sponsored events, such as our 100 hour Broadcast Marathon, where several of our members are sponsored to broadcast non-stop for 25 hours each. 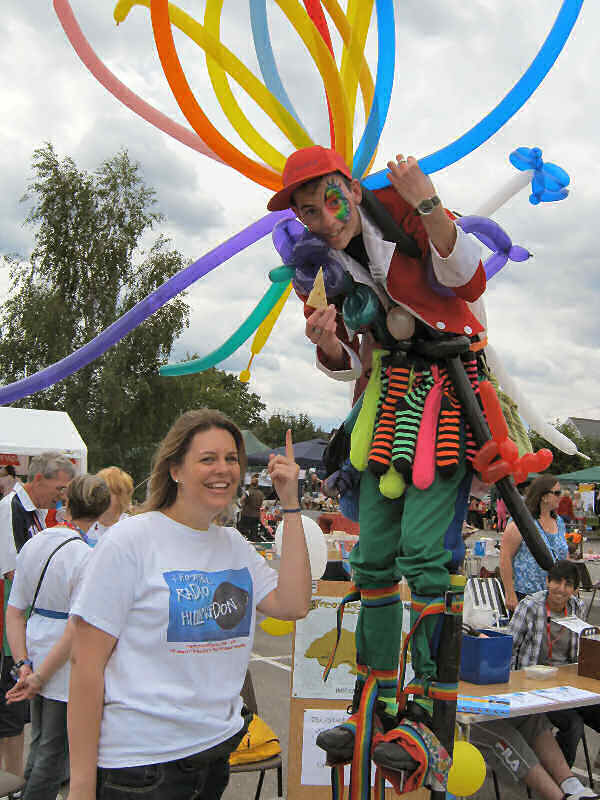 One service which we provide has been very successful over the years, we have a Road-Show, which we take to local schools and village fetes to provide them with a P.A. & music, we have a comprehensive range of music, radio mic facilities, a cassette deck, a mini disk player, c.d. player, plus extra speakers if required, which can be hired for a reasonable fee. This is a great opportunity for us as it highlights our profile within the local community. We have also established an On Air Sponsorship opportunity for local companies; we have a range of packages to suit the clients budget and their requirements. Because of our charitable status we are unable to air advertisements. During the forty plus years that we have been in existence, we have been fortunate enough to have been awarded grants from the National Lottery Fund, which have helped immensely in upgrading our equipment and keeping us as a state of the art radio station. For more details please contact Sheila Frederick on 07050 606219 or email us. 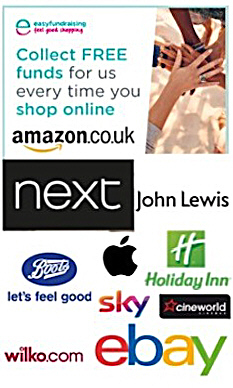 Simply buy your online products and gifts using our Amazon or Webshop links below and Radio Hillingdon gets a referral donation. You pay no more than if you had gone to the websites direct and we earn commission on everything you buy! 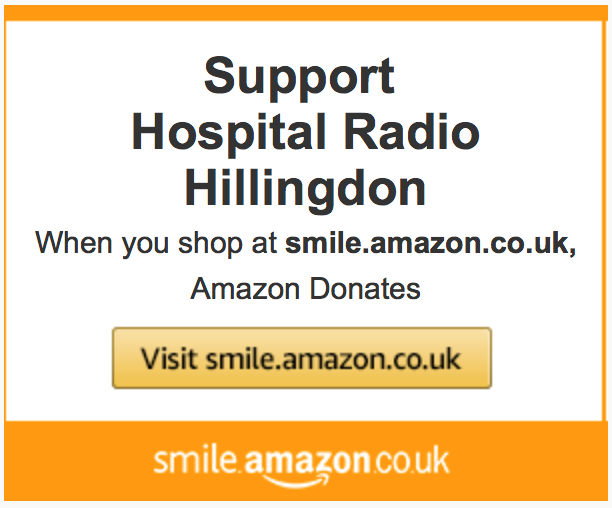 The Radio Hillingdon Webshop is powered by Easyfundraising and has over 3000 retailers, so why not shop and help fundraise at the same time.